Virgin Media has told TechRadar that it will has immediately halted the sending out of letters with warning stickers on, following the mistake which undermined their entire 'educational' campaign with the BPI. The stance of the company has been that any file sharers reported to them by the BPI would be sent a letter of advice that their details had been logged and their actions deemed to breaching copyrights. 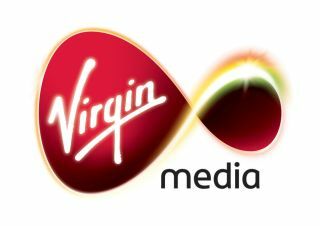 The error has left the company embarrassed, and a spokesman for Virgin Media said that no further BPI warning letters will be sent out with this sticker adding: "The mistake has already been rectified." "We are writing to some of our customers to make them aware of the issues surrounding unauthorised file sharing and the reasons why copyrighted music needs to be protected. "This is an education campaign only and we will not be suspending or disconnecting these customers. As a responsible ISP, who has a strong heritage in music, we want our customers to enjoy music online safely, and to do so without the risks associated with using unauthorised services." The review period for the campaign is in August, which has led to reports suggesting that the letters will continue to go out with the warning on the envelopes until then, but TechRadar has been assured that this is not the case.